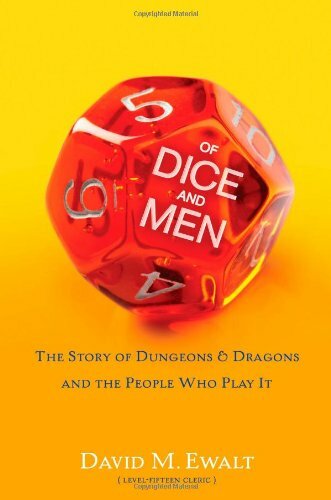 Tonight (Friday, May 26), I’m going to see “Of Dice and Men” at Madison’s Bartell Theater again. I’ll also be leading a discussion/talk-back after the performance. Playwright Cameron McNary will be doing likewise, tomorrow. McNary’s play – currently staged in Madison by the Mercury Players Theater – revolves around a few crucial nights in the lives of a group of role-players. Self-described as a geek tale “without all the self-loathing,” it’s really much more than that. I caught the Madison opening, last week, along with my wife, and two non-gamer friends. We all had a terrific time, delighted at the depths of the characters, the nuances of the script, the several laugh-out-loud moments, the clever staging, and – honestly – the gut-punch ending. This far from your typical “giggle-at-the-gamers-or-gaming” sort of show. You don’t need a ticket to attend the Talk-Backs – just show up at the theater at 10 pm, when the play’s over. But I do recommend you catching the play. It’s hugely enjoyable, and – bonus – you get to support local arts! (The production does contain adult language and innuendo, so it’s really not for kids. But seriously yes wow I had a great time). 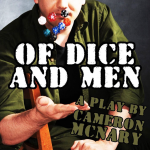 Here’s a trailer for the 2014 “Of Dice and Men” movie that was successfully Kickstarted. Yup, I enjoyed the play so much, I bought the DVD. It’s also streaming on Amazon Prime. Possibly confusingly, here’s an “Of Dice and Men” that has nothing to do with the play or the movie (I stumbled across it when researching the play and the movie). It’s a fun and easy read, packed full of info on the history of Dungeons and Dragons and the early roleplaying biz. The writing, by Forbes and Reuters contributing editor David M. Ewalt, is as assured and solid as you’d expect, and clips along at a lively pace. I’ll try and delve a bit more in-depth into the book at a later date, but do grab a copy, if you’re looking for an entertaining exploration of the hobby we love.